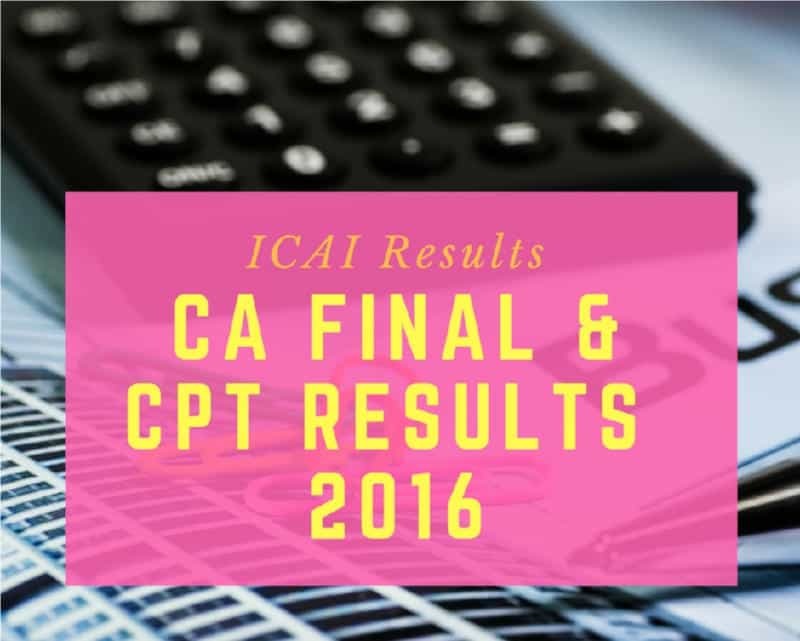 ICAI Result 2016 :- CA Final and CPT Results are released by ICAI on 17th January 2017. Students can check their CA Final and CPT Results on the website icai.nic.in. Chartered Accountants (CA) final examination and Common Proficiency Test (CPT) were conducted in November/December 2016. The results of ICAI Result 2016 are available now. The Results of CA Final Examination 2016 are available on the website icai.nic.in. The Link to check CA Final result is given below. The results can be check by two ways. By using Roll Number and PIN Number or by using Registration Number. and Send SMS to 58888 – for all mobile services in India. 6 Digit Roll number is required to check CPT Result or students can use their Registration Number on this website. eg: CACPT 000172 and send the message to 58888.